Growing up, we would help our dad with the floor-cleaning business, starting back in 1984, which was always lots of fun for us. We watched and learned from his example always based on his belief to provide extraordinary personal service over and above what you would get elsewhere. Grounded on honest and trustworthy Christian principles, the business is now carried over to a second generation in partnership with my son, Joshua. Together, we have created a unique cleaning process that achieves fast-drying TDE ( Total Dirt Extraction ) without leaving chemical residues which can quickly cause re-soiling of your carpet, fabrics and grout. Our method provides stunning results and a long-lasting clean also giving you the satisfaction of knowing that our services are always backed by a 100% money-back guarantee. Nothing can compare to the satisfaction and pleasure that we feel after receiving compliments and reviews for a job well done. 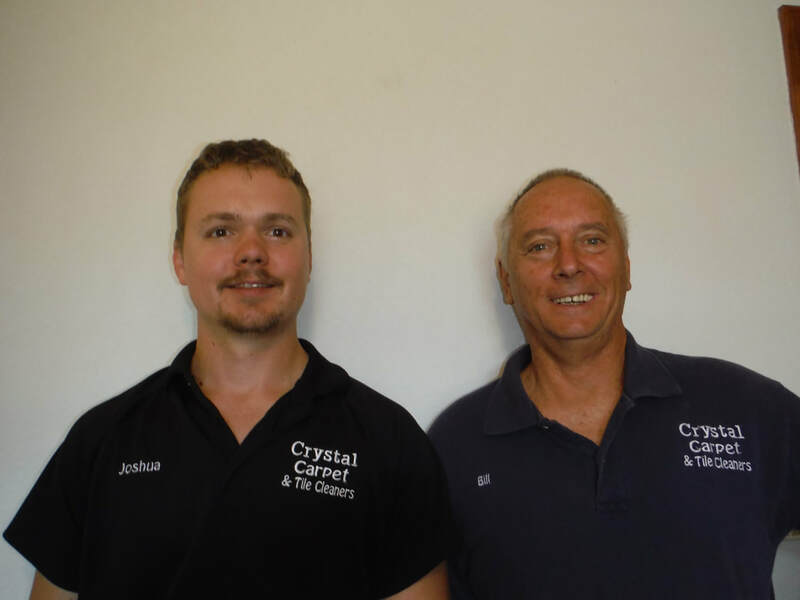 Then we know we have done our part in keeping your home clean as Crystal. We love using the skills and talents God has given us, and we look forward to serving you. You can feel uniquely confident when hiring our company to perform all your cleaning needs.